I started off the 40 Bags in 40 Days challenge in my kitchen. The least daunting task seemed to be my pantry. It was completely cluttered and not organized at all, and I knew there was some expired and/or stale food (from the kids not putting stuff away properly). I filled a small kitchen trash bag with stuff that could go. While I was taking everything out and checking dates and freshness, I wiped down the inside of the cupboard as well, and put things back in a more organized way....now to re-stock it, since some of the shelves seem pretty bare. 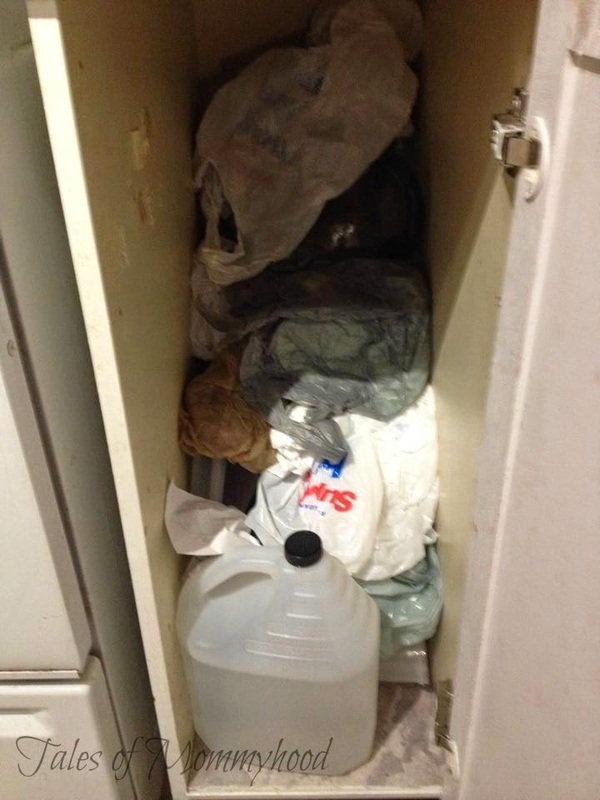 Day 3 I tackled the cupboard where I keep extra drink pitchers and grocery bags (I have 2 bins, as well as 4 or 5 reusable bags but always end up forgetting them at home and getting plastic grocery bags at the store....then they get shoved into the cupboard and forgotten about. I took all the plastic grocery bags and put them inside the reusable bags. Once all the bags were moved, I found some old home made popsicle molds that were missing parts, so they went into a bag for recycle - as well as the old flyers I found in some of the bags. Day 4 I tackled the bread basket area of my counter. It holds bread, muffin liners, toothpicks and lots of stray junk that ends up on the counter. I got a small bag of garbage from the area, as well as moved some items to where they actually belong! Day 5, even though I have more areas in the kitchen to work on, I decided to put my efforts at cleaning up the front hall. I managed to get a bag of shoes/boots that no longer fit the boys and I am able to donate/sell some of them. 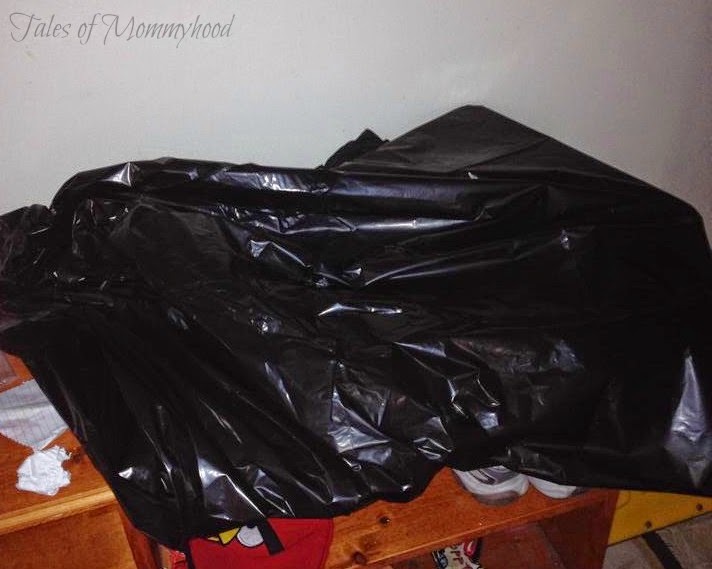 I also found about 14 different socks stuck behind the bench and wall, and found some clothing items the boys had dropped for some reason and ended up with a bag for the laundry! Day 7 I went through some of the kids toys and books. I got a bag for donating! This brings me to the end of week 1 - I am happy with my progress so far. I have more than enough to keep me busy for the next 33 days - and I think I *may* end up with more than 40 bags in this process. 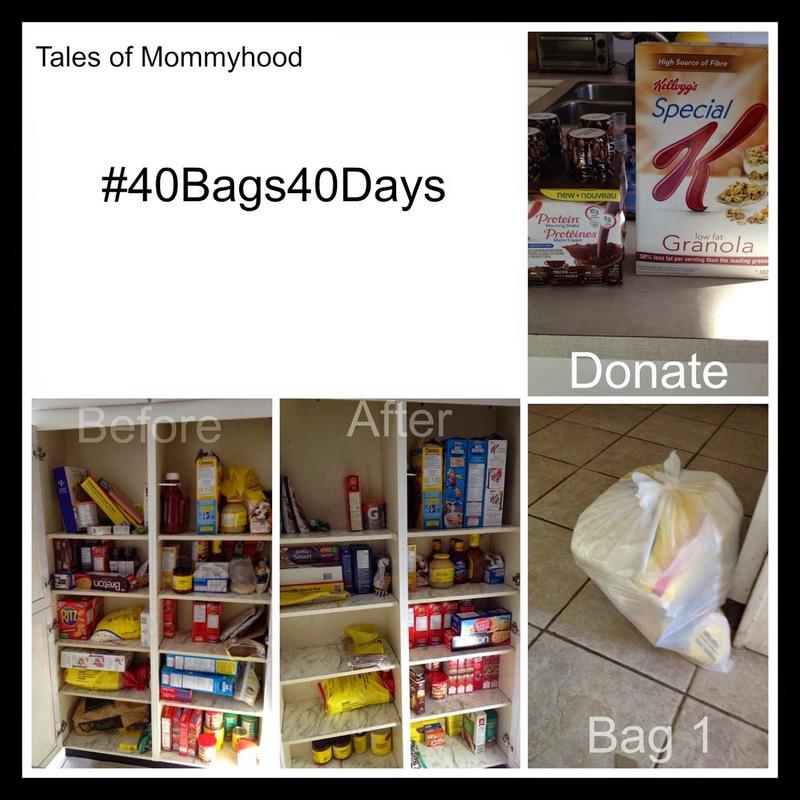 Have you been doing your own #40bags40days challenge? I would love to hear how your progress is coming! Check out the links below to see how the other bloggers participating in the challenge are doing! Nice!! You made WAY more progress than I did LOL it's looking great! This is something I will be doing later this year as we are leaving our long time home to move out to Victoria! 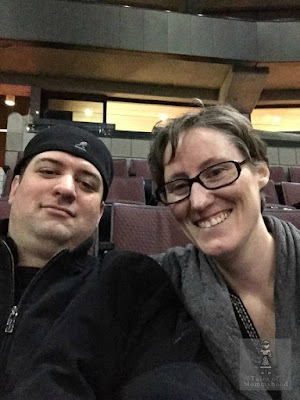 good luck with the purging and the move! This is so great to do! 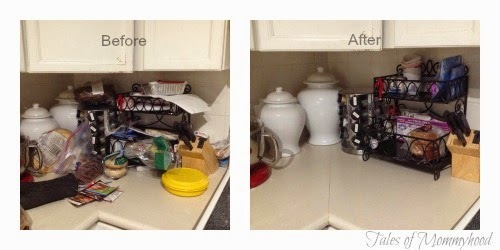 Doesn't life feel and look so much better after decluttering? We did our kids rooms right before Christmas and donated about 10 or so bags and about 8 boxes to the diabetes foundation. 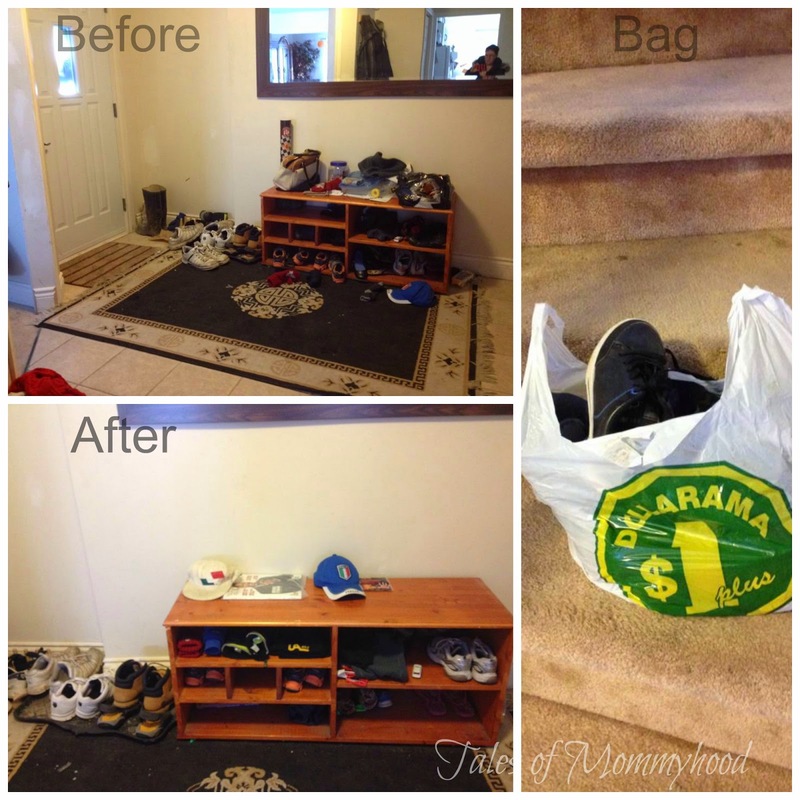 It's always such a great feeling knowing your old clutter can do good for someone else too! I have been trying to declutter and purge for months. 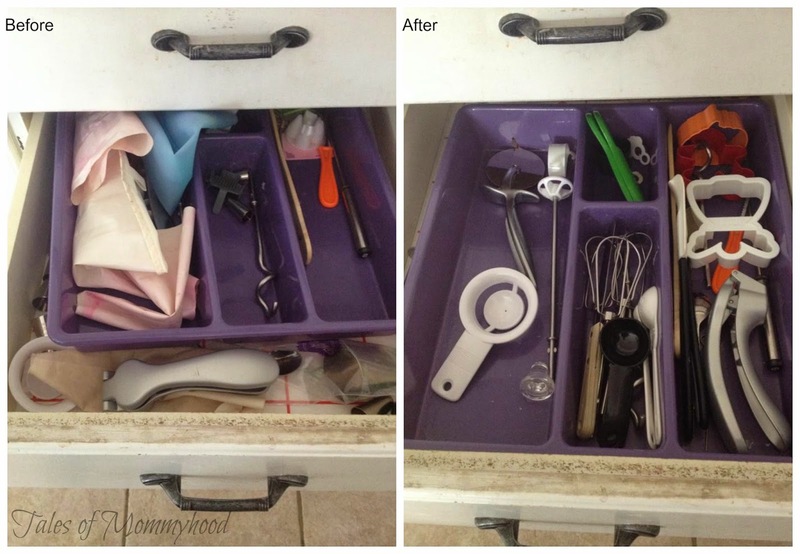 Your post inspires me to keep at it and hit that utensil drawer. Your pantry looks awesome! Can't wait to get mine organized too!